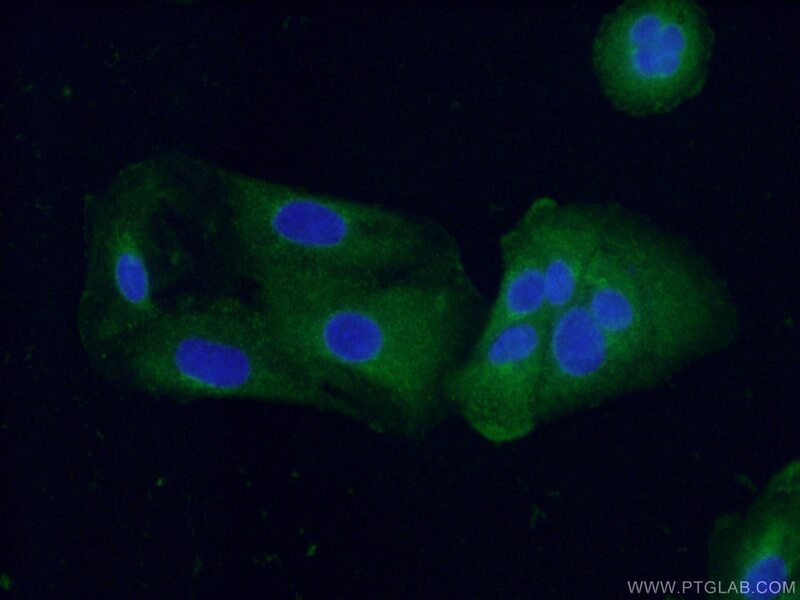 Fibulin-5, also known as EVEC and DANCE, is a extracellular matrix glycoprotein, secreted by various cell types such as vascular smooth muscle cells, fibroblasts and endothelial cells. Structurally, Fibulin-5 contains an Arg-Gly-Asp (RGD) motif and calcium-binding EGF-like domains. It promotes adhesion of endothelial cells through interaction of integrins and the RGD motif. FBLN5 mutations have been described in patients with age-related macular degeneration, as well as being involved in Charcot-Marie-Tooth neuropathies. A high-throughput cell-based gaussia luciferase reporter assay for identifying modulators of fibulin-3 secretion. 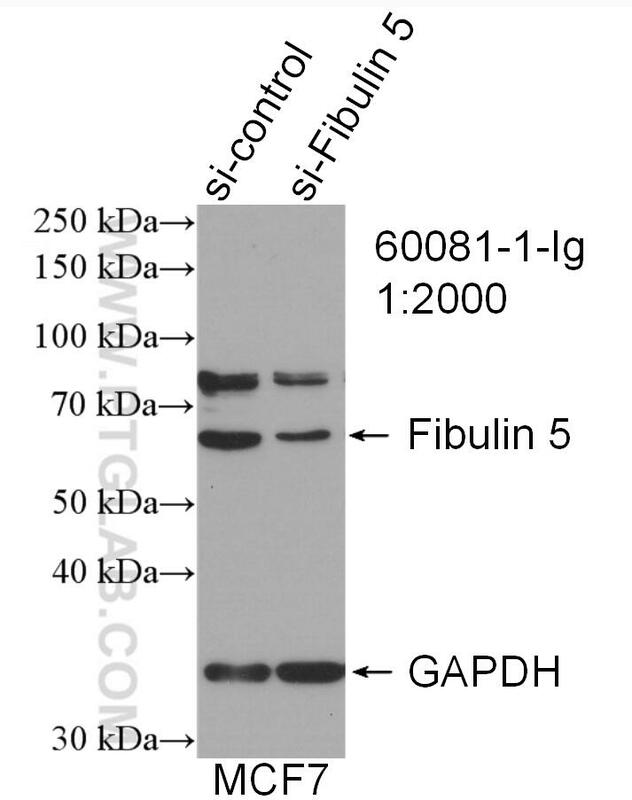 Oncogenic Fibulin-5 Promotes Nasopharyngeal Carcinoma Cell Metastasis through the FLJ10540/AKT Pathway and Correlates with Poor Prognosis.